The quickest way of getting a free UK to Germany moving costs estimate is chatting to us online. Our sales representative will ask you a few simple questions concerning your move. In most cases we will be able to provide you with an instant cost calculation. However when you are moving the entire household and require us to do all the packing unpacking, arranging the parking space if applicable, carrying the goods up or down the stairs a free home survey will have to be arranged in order to offer you a fixed price for your move. There are a number of ways how the survey can be made. If you do not have time to arrange for the survey or to produce a full inventory we can only provide an average moving costs for your relocation. Please note that when you plan to compare removal costs to Germany the more info we receive the more accurate moving quote you receive. 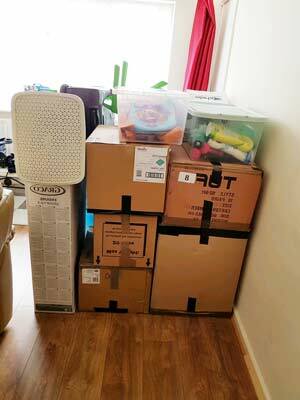 One of the most important elements considered whenever you talk about removals to Germany from UK is the moving cost. In fact, it is good to note that the removal costs have determined lots of shipping decisions made in the past. The choice of the insurance, the choice of the option to use, the choice of whether to move whole or to dismantle, the choice of the routes to be used and the choice of the moving company and carrier to be used are all influenced by the estimate removal cots. One benefit of comparing removal costs to Germany is that it gives you information on what to expect from the onset. Many people may have thought about the shipping to Germany from UK of furniture, cars, heavy equipment or other household items to their new destination as against buying new ones. In this case, the cost is what determines whether they will go ahead and ship or whether to buy new ones. This is the reason we insist that getting an accurate estimate moving cost is very essential. Now, many people have been asking the question about why it seems very difficult to estimate UK to Germany moving costs even when it seems very important. The scenarios that have been playing out for the ignorant ones look like this. Maybe, you want to move some of your furniture or items, and you eventually discover that the item in question is very huge and heavy, and therefore very difficult to handle. You realize that the item in question cannot be contained inside your bus or the boot of your car, so you need some professional and external help for the transport. You also realize that the offices around are too far from you and therefore you cannot get to them and inquire about the moving costs estimate. The next thing that will occur to your mind is to go online and compare removal costs to Germany from the UK. You will start with Google and the answer you will get will involve lots of companies especially those that have succeeded in increasing their Google ranking so as to appear on the first page. When this happens, you will discover that they will demand some information from you, and when you give this, they will offer you a house moving estimate. When the estimate comes and you look at it, it will seem so over bloated and ridiculous for you and you will not have other UK to Germany moving quotes to compare and know whether this is actually what the market is asking for at the moment. This may even get you angry. If this is the case, the next step is to pick up your phone and call the next express pallet delivery or house relocation company and they will answer your call, ask you some questions and tell you that they will get back to you. Unfortunately comparing house moving quotes to Germany like that will take you plenty of time. After some hours, they will call back and drop another bomb. The problem is that each agent you call will give you only one removal quote to Germany form the UK. You are confused, and this keeps you on the vicious circle. This is exactly where we come in. For you to compare shipping costs to Germany and get the best moving quotes, you just have to get to our website and use our packing and relocation calculator. This works in a very simple manner. What you have to do is to make sure the needed information is available. Get to know about the height, width, length, weight and other possible dimensions of the item to be moved. To compare moving quotes to Germany from the UK you also need to have accurate information about the age, transit speed, whether it will need additional permits and authorizations, the extensions and attachments that the item comes with, and whether it will need extra loading and unloading equipment. With us you can compare removals to Berlin or man and van to Munich and to anywhere you need. This information is easily gotten from the manual that the item or property comes with. If you don’t have the manual again, you can call the sellers or manufacturers and get this from them. Or rather, you can get to the website of the sellers and get the information needed. If all these sources do not give you the dimensions of your table, television and other properties, you can search generally online or you measure with a tape yourself. 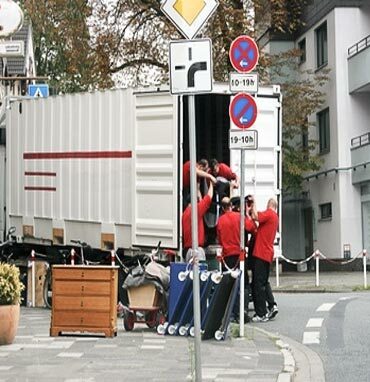 If you want to get an accurate moving quote to Germany you need to be as precise as possible. To find out average removal costs to Germany we will need just a list of goods and a number of boxes you want to move. When you have this information, you also get information about the exact location of the item to be shipped and the final destination. With these, you will fill the online removal costs to Germany comparison form given by the packing and shipping calculator. When you fill this, you will get multiple packing and shipping quotes from our packing and shipping calculator. We also can help you with comparing removals to Hamburg. Now, the good thing about comparing moving quotes to Germany online is that you are allowed to have estimates and quotes from different partner shippers and movers. We are working with a shipping network. The shipping network involves different packing and shipping outlets scattered in different parts of the world. They are in alliance and partnership with us and are the people that will go into action to offer you the packing and shipping no matter your location. These partner shippers will be the ones to offer you different UK to Germany removals quotes of different costs and services. You have to choose according to the services offered by each quote. The good thing about the UK to Germany removal costs estimate is that it is coming from different guys. But it does not end here, it compares the services offered with the quotes, so that you can do the math and know which option stands to benefit you more according to the services attached to them. What the availability of many options does for you is that it helps you to choose the best. Again, since our partners know that they are offering services amidst competition, they tend to offer very cheap and cost effective online house moving quotes to Germany so as to withstand the competition in the market. In the same vein, they offer better services so that they can stand the competition too. Many people when they want to ship through the courier or large parcel delivery to Germany services may not know how to determine the moving quotes. This is one area that is not so open, unlike the heavy equipment and freight shipping. However, for you to know the removal costs UK to Germany compare that are involved and possibly estimate such, you have to take the surcharge rates into consideration. There are different surcharge rates to be considered. They include the delivery confirmation fees, the delivery and residential area surcharges and the delivery confirmation option. However, there are some special services that may not be the same as that offered by our partners. If you are making use of services like free online moving quote to Germany from the UK comparison, we can also help you with information about different estimates and quotes. There are different options you can choose from. For instance you can have priority mail, curbside delivery, door to door and more. We will help you to compare removal costs to Germany from the UK and Ireland and back. We also can help you with removals to Cologne. We are a network of removal companies working together to provide high quality international moving services at affordable costs. Compare UK to Germany movers and find best deals. Copyright © Removals to Germany 2012. All rights reserved.